The congress, which will take place on November 13 and 14, will be dedicated to showcasing key findings from the scientific sessions of the ADA held in the US in June, with the participation of more than 150 healthcare professionals. The collaborative initiative is getting together multiple stakeholders including healthcare professionals, patients and media on a common platform to delve upon, and address the unmet diabetes needs in the region. 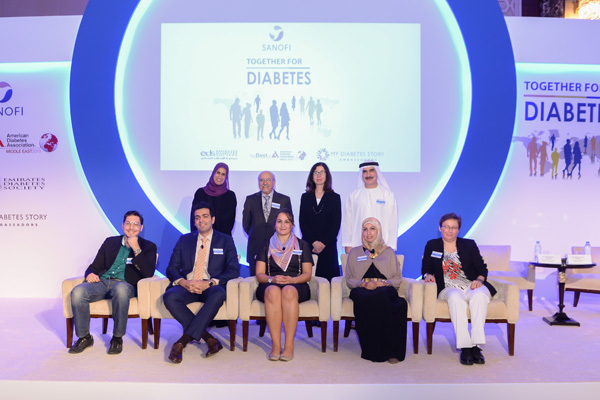 A media summit themed ‘Together for Diabetes’ was held in parallel with the medical congress, where journalists from UAE, Lebanon, Egypt, Kuwait, Jordan and Saudi Arabia had the opportunity to hear from some of the leading international experts from the field as well as from patient ambassadors from My Diabetes Story, a Middle East diabetes awareness platform. The discussions revolved around diabetes challenges and disparities in the region, diabetes guidelines, new treatment modalities, and outcomes of new diabetes trials related to cardiovascular health. Dr Abdulrazzaq Al Madani, consultant in endocrinology, president of the EDS, said: “Despite all the awareness efforts in the Middle East and globally, diabetes management is still a considerable challenge for the health authorities and the healthcare community. “A major part of diabetes is related cardiovascular complications. Data reflects that many patients suffer from various comorbidities like blindness, uncontrolled cholesterol, amputations, renal failure, and two thirds of diabetic patients die from heart disease or stroke. Under-diagnosis of diabetes is also a major issue. The ‘Best of ADA’ congress will focus on providing new, relevant data and insights to enable physicians and healthcare professionals across the Middle East. It aims to equip them with information on improved diagnosis, treatment and management of patients with diabetes and comorbid conditions. Attendees had an exclusive preview of the proceedings of the ‘Best of ADA 2015’ during the media summit. Ayman Mokhtar, general manager at Sanofi Gulf, said: “With the rising incidence of diabetes in UAE, we at Sanofi strongly recognize the necessity to support the development of advanced therapies, enhance the knowledge and expertise of healthcare providers, and address patient’s needs of understanding diabetes for effectively managing the condition.